Redevelopment of a 110 bed surgical hospital. 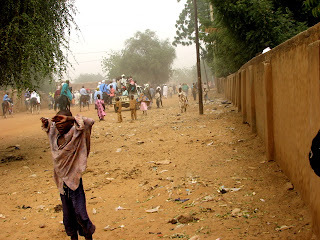 Niger has been ranked the poorest nation in the world by the United Nations. This land-locked country in western Africa sits on the edge of the Sahara Desert and has few natural resources to its benefit. Average life expectancy at birth is 41 years. 12% of its newborn’s die before their first birthday. The doctor/population ratio is one doctor for every 30,000 citizens. In such a difficult environment, SIM has spent more then 50 years meeting compassionate medical care needs through the Galmi Hospital. With 110 beds for inpatient care this surgical hospital also cares for up to 300 men, women and children at their on-site outpatient clinic every day. But the buildings and the supporting infrastructure (water, power, waste management) are literally crumbling. 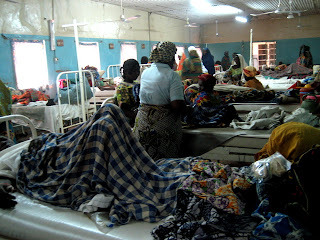 The whole hospital complex is in need of major repair and reconstruction. 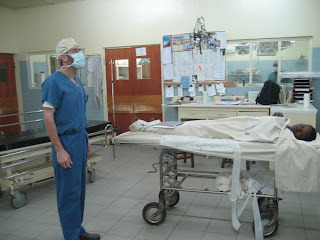 However, some major challenges exist in undertaking a reconstruction project on such a busy, fully functioning hospital. How can most of the facilities be kept operational while portions are undergoing redevelopment? How can a scattering of ancillary buildings be incorporated into a new facility in a logical, pragmatic manner? How can a reorganization of the overall site Master Plan be done to free up land for potential expansion of medical services? How is the existing infrastructure to be rebuilt and reorganized to become efficient at meeting current needs while being capable of accommodating potential increases in medical services, such as the addition of more outpatient and inpatient clinics? The mandate of our eMi team of volunteer design professionals is to listen to the needs of the hospital and within our project week, to produce a vision and supporting documentation for the overall redevelopment and reconstruction of Galmi Hospital. We will present to them a phasing plan for a step by step redevelopment of the hospital and produce construction documents that will help them build it. With our team actually going to Niger we will be able to see, understand and incorporate local materials and construction methods. We will also be able to dialogue continuously with SIM administrators as well as the medical and support staff to receive direct input and feedback during our project week. Please pray for sensitivity, open ears, open hearts and open minds as we put the best of our professional skills to the task of blessing this ministry and the innumerable patients this hospital will be witness to in displaying the love, care and concern first demonstrated by our Lord Jesus. He lived out His very commands to us, time and time again, to love the poor, heal the sick and feed the hungry. Our efforts will extend this compassion in a very real way to the people of Niger through the work of SIM and the staff of Galmi Hospital. See the side bar for a link to the www.emiworld website for the project description. If you are curious what participating on an eMi team looks like, click on the video A Project Week With eMi. Thank you to each of you who are involved by supporting me, my family and the work of eMi with your financial and prayer support.